Pattern mixing is a big trend right now, stripes and florals, polka dots and plaid, leopard and stripes. I am a bit on the fence when it comes to pattern mixing. I think that it can be done well, but that it can also be a bit overwhelming if done incorrectly. What are your thoughts? I was sewing through some of my chiffon, trying to get a head start on all of the craft fair craziness that is bound to be even crazier this year with the addition of another baby. 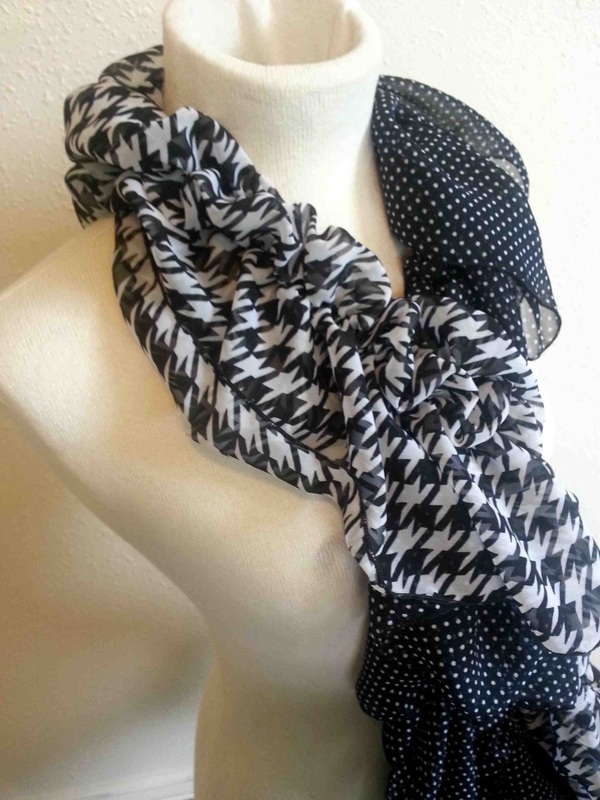 I had a few short pieces of material and decided to combine them for a mixed pattern scarf. I love the polka dots, but am not quite sold on the houndstooth/polka dot combo. As I've been piecing these together, I've thought that it could be fun to offer a few different combinations for the mixed pattern lovers out there. Do you have a favorite mixed pattern combo? I can't do the mixing of patterns. It just doesn't work in my mind. That said, those are adorable. And loads of people will love them! 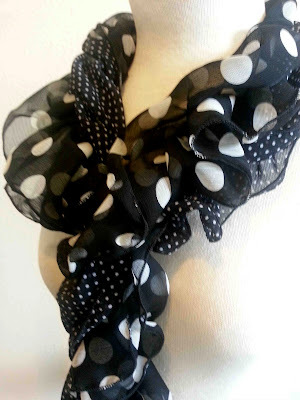 LOVE the first polka dot one!!! Cute idea! also like color blocking too! I really like the polka dot mix one, but not so into the hounds tooth/polka dot mix... maybe hounds tooth with a solid? But the first one is super cute!